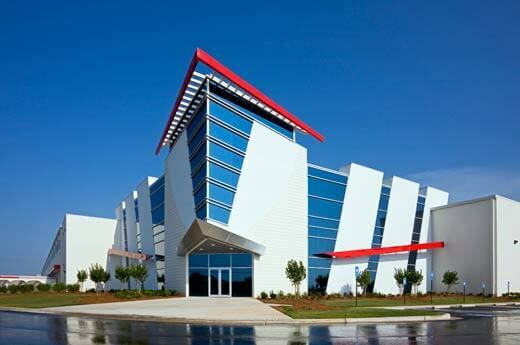 Not a typical “big box” facility, Kumho Tire’s 411,000-square-foot, build-to-suit industrial warehouse has unique interior and exterior components to reflect the company’s wing motif logo. 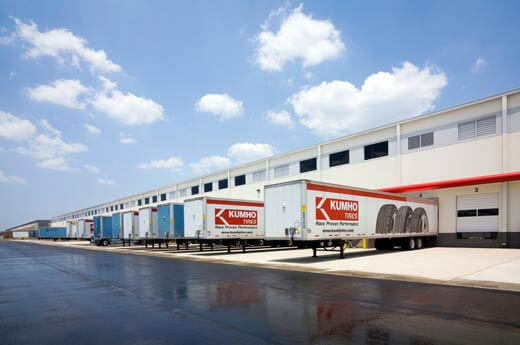 The facility features sweeping lines and architectural details not common among warehouse facilities. 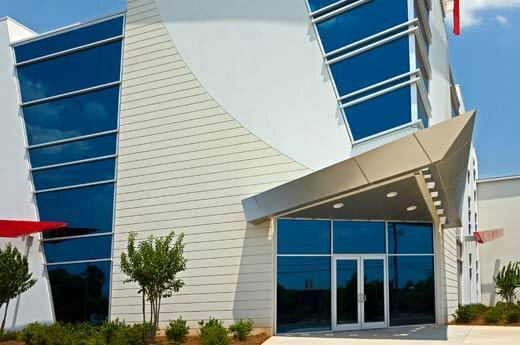 Alston Construction provided the design-build services for the unique facility including the placement of two 103,000-pound concrete crowning panels that meet in a V-shape. 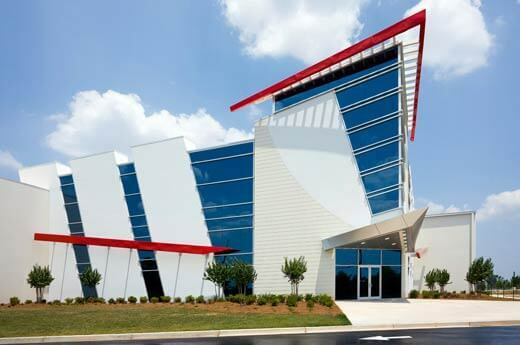 The steel-frame facility features more than 410,000 square feet of industrial space, 4,000 square feet of office space, 40 dock doors with a 32-foot clear height as well as ESFR fully sprinklered fire protection. 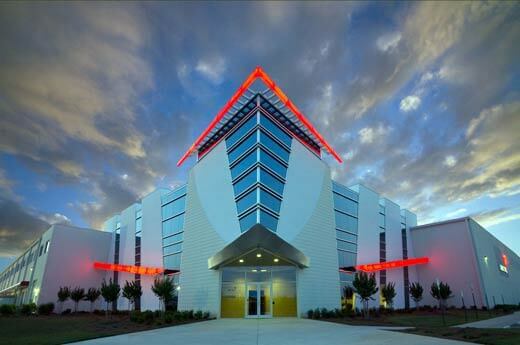 Due to its unique design and construction, the warehouse has earned landmark status in McDonough, Georgia.